Light pollution is a term we use to describe the adverse effects of artificial light. Some adverse effects can be biological: excessive ambient nightime light can be disruptive to some plants and animals (so-called ecological light pollution). For professional and amateur observers alike light pollution degrades our ability to observe and enjoy the natural night sky. 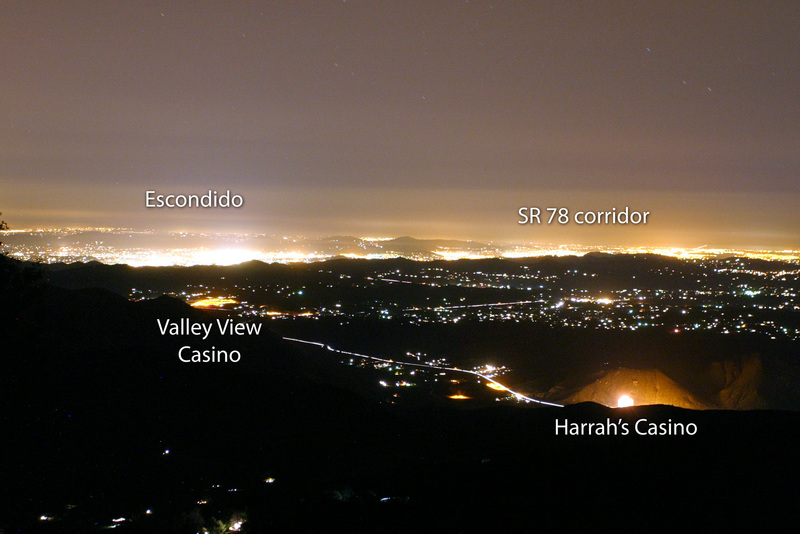 Light pollution is an increasing problem for observatories everywhere, and for Palomar Observatory in particular. Back in the 1930s one of the main reasons Palomar Mountain was selected as the site for the 200-inch telescope was its dark skies that would allow observation of the faintest galaxies without the interference of city lights. Since the 30s, rapid urbanization of Southern California has resulted in a significant increase in the amount of sky glow—and directly impacting the effectiveness of the Palomar Observatory for many types of astronomical research. 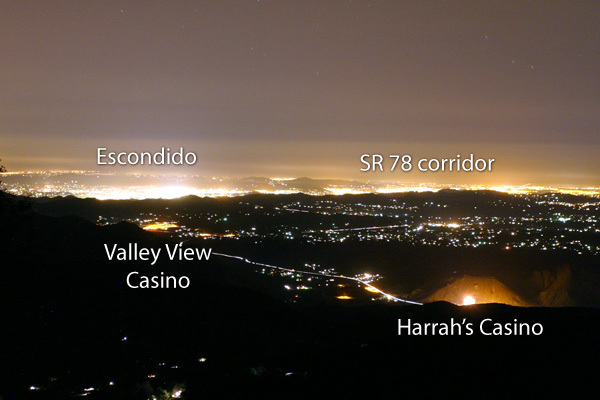 Since the 1980s Caltech and Palomar Observatory have worked extensively with the surrounding communities to minimize the impacts of light pollution on the observatory's research mission. 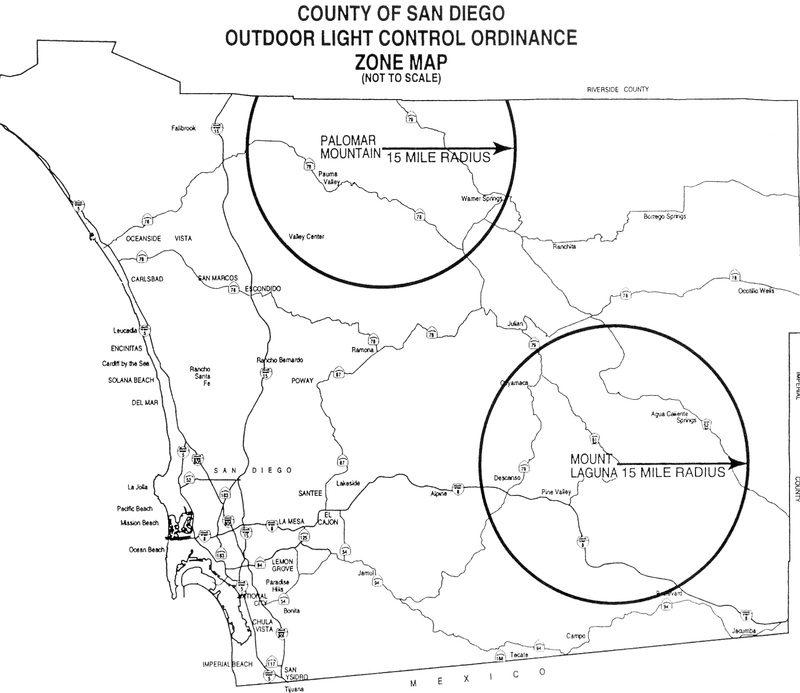 We are grateful for this ongoing partnership with neighboring communities in Southern California, and will continue to work with City, County, and Tribal governments to mitigate the effects of local light pollution. With continued community support Palomar's research mission can continue, and we all can enjoy the natural beauty of the night sky.